Founded in 1918 on the principles of innovative design and sound construction, our goal is to be the choice of those who demand quality products a cut above the rest. 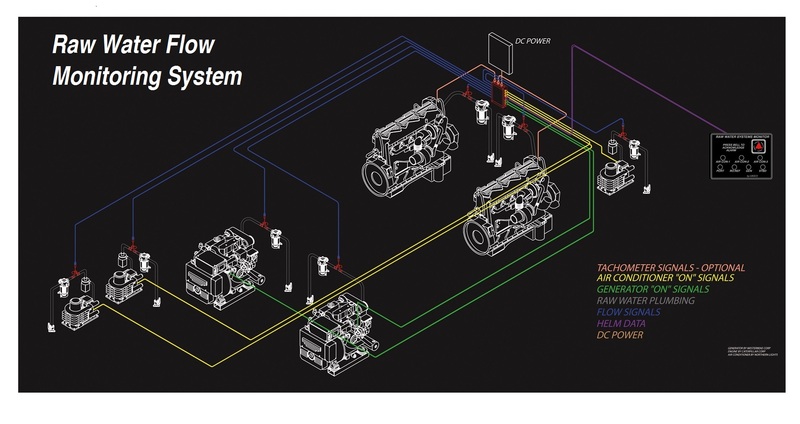 SSA Raw Water Monitoring System is a system that alerts the vessel operator visually and audibly to the significant reduction of raw water flow to any connected device. You are alerted faster than traditional gauges or sensors (about 7 seconds) – fast enough to allow you to react and investigate – fast enough to prevent damage BEFORE it occurs. 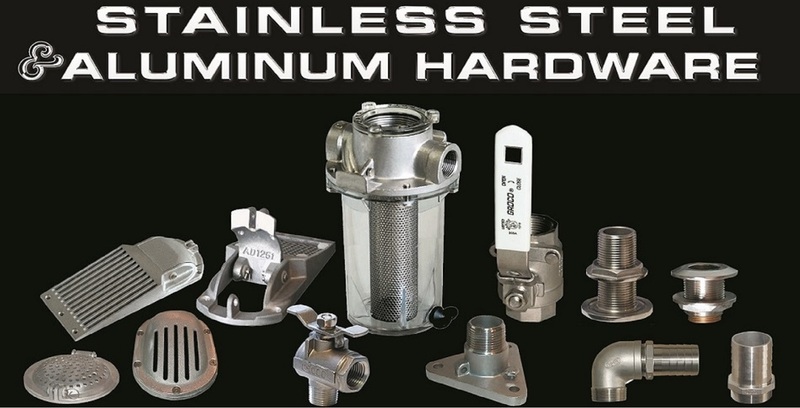 Keep Engine Rooms and Hulls looking their best with GROCO #316 Stainless Steel Fittings, Thru Hulls, Drains, Valves, and Strainers! Won't turn green and is metallurgically compatible with both Bronze and Aluminum Components. Weldable #319 Aluminum hull scoops also available for aluminum hull boats. Wireless Seacock Control, with E-Valve! No need to go to the engine room to open or close seacocks. OPEN and CLOSE functions are commanded by touching the buttons on the Control Module, right on the boat’s instrument panel. Removes the hassle from exercising seacocks, and adds safety and convenience never before possible. Equipment that is used regularly is more reliable than neglected equipment. Self Cleaning Strainer- Never Get Clogged Again! As raw water strainers do their job, filter baskets become clogged with debris and flow to the connected device is reduced, resulting in the need for system shut-down for cleaning and maintenance. 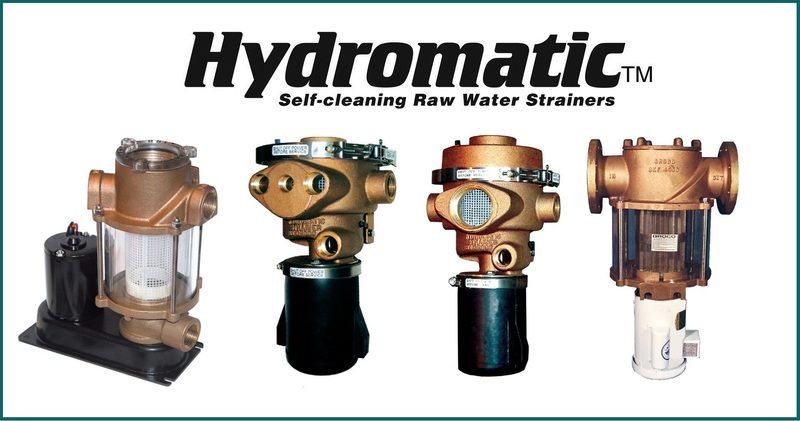 HYDROMATIC strainers eliminate untimely shut-downs and maintenance by conducting a periodic self-cleaning cycle (the user selects the cleaning interval) with its powerful internal macerator. Adaptors available for simple oil pan connection. Now Offering Full Line of GROCO BSPP Products. Change The Way You Boat... FOREVER! Take the hassle out of boating. We offer many conveniences that you have probably never heard of that can make things run smoother for longer and with less work! GROCO will be exibiting at IBEX, METS, and the Annapolis Boat Shows this year. Stop by the Booth for a visit!